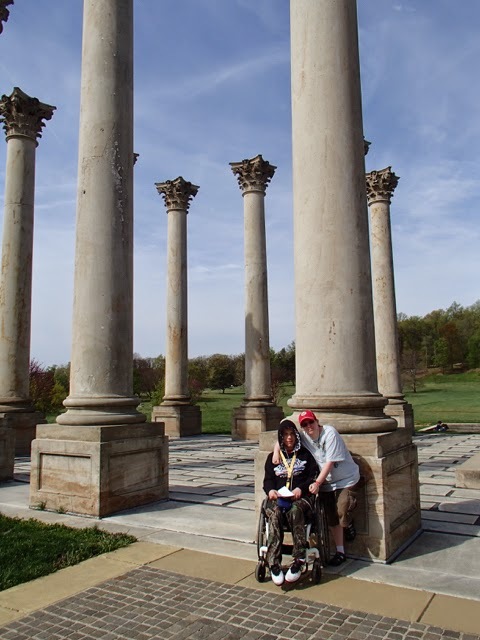 There is a parking area including handicap spots near the National Capitol Columns area of the National Arboretum, but we just walked over from where we had parked at the visitor center. The route from there is partially a road closed to general traffic and then there's a sidewalk path that angles towards it. 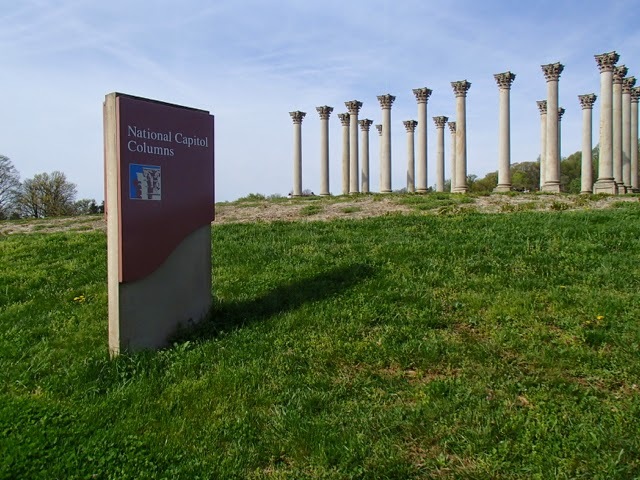 There columns and stones were originally part of the East Portico of the Capitol and are set up on a hill. There is sidewalk path up to the right and left. 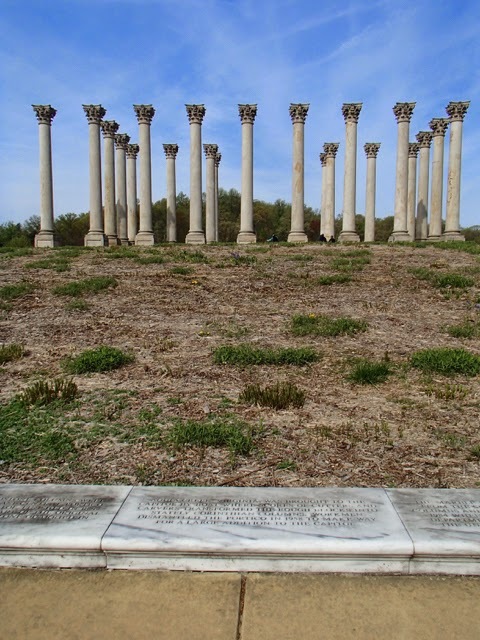 The floor area between the columns is not entirely even, but they are originally steps from the Capitol and certainly still very accessible, especially compared to how it is offroading to really explore much of the garden collections.